Use a lanyard with an eye at each end. Wrap the longer end around the climbing rope to make two Half Hitches. Then continue around and through the top Half Hitch three more times. Balance the lengths and pull tight. Attach the carabiner. Uses: The Distel Hitch is a slide and grip knot used to ascend a climbing rope. 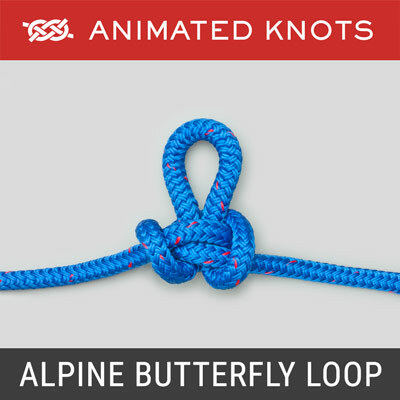 It is tied using a lanyard with a loop in each end. Although any safe loop would be acceptable, each loop is usually secured with a Double Overhand around the lanyard. 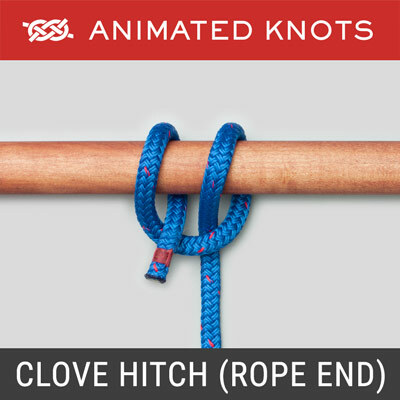 The Distel itself is based on a Clove Hitch but the "top" part of the hitch includes additional turns that form the spiral of rope responsible for gripping the main rope. The Distel is designed for tension in only one direction, which makes it especially suitable for use in climbing, e.g., by arborists. Variations: The animation shows a "4 over 1" Distel – with four complete wraps in the top section. This would be the recommended initial format. However, writers also describe the Distel using three turns at the top – a "3 over 1" arrangement. Experience and materials used will govern the choice. However, for safety, try the "4 over 1" first. 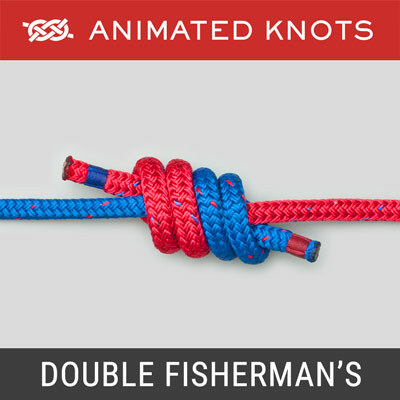 Tying it: The animation shows the Distel being tied from below. This serves to emphasize that its structure is based on the Clove Hitch - because that is what is first created. The experienced user will often start at the top. 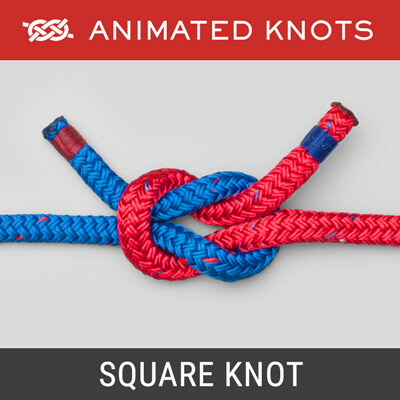 Either way, the knot should be dressed to ensure that the two ends are similar in length. 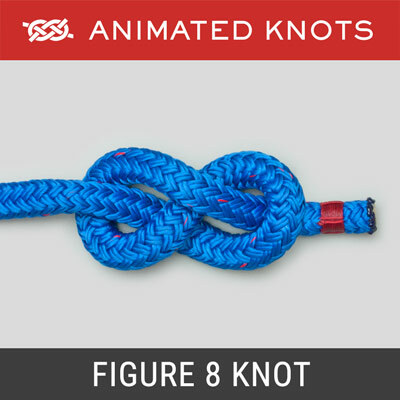 Like other knots supporting critical loads, close inspection is appropriate to ensure that the hitch is tied correctly. 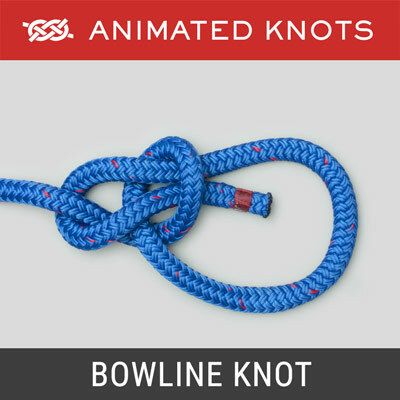 Similar Knots: The other slide and grip knots intended for load in only one direction include the Rolling Hitch, the Klemheist, Blake's Hitch, the Icicle Hitch,the Schwabish, and the Valdotain Tresse, or VT, (sometimes referred to as the Vallard Tresse). Advantages: Amongst these various slide and grip knots, the Distel is a recommended knot for the arborist: it is reasonably easy to tie; the length of the lanyard is not too critical; it provides a nice ride; and both ends take the load. Disadvantages: Some writers report that the Distel has a slightly greater tendency to lock up and be hard to slide than, say, the Vallard Tresse.